Penser avec Roland Barthes is a series of conferences by Benoît Peeters. The conferences are part of the seventh season of Les Mardis de la Philo.be 1). The six conferences will be held between January and March 2018 2). 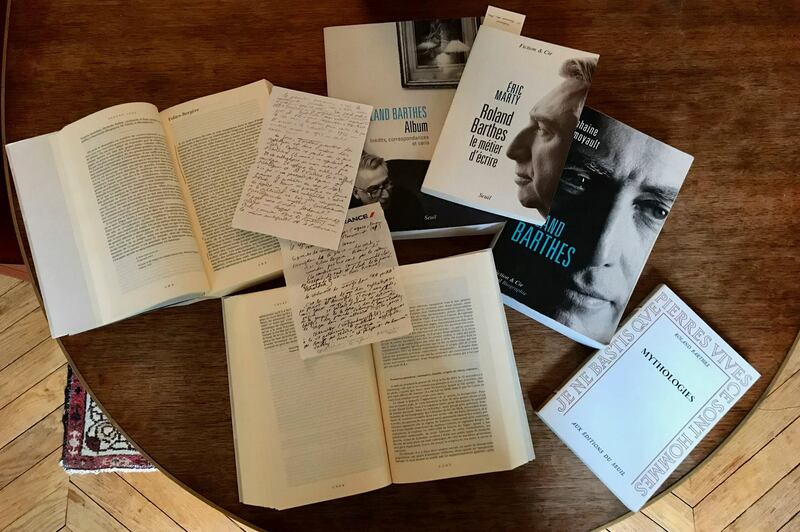 As Roland Barthes (1915-1980) is one of the major figures in the post-war French intellectual scene, his trajectory was very singular. “Pupille de la nation”, he spent nearly ten years in a sanatorium, before pursuing a career in the margins of the university. Then becoming professor at the Collège de France. Creator of the “new criticism”, essential actor of structuralism and semiology, Barthes has never ceased to reinvent itself. In his later books (Roland Barthes par Roland Barthes, Fragments d’un discours amoureux, La Chambre claire), he puts subjectivity and affectivity at the forefront, asserting himself as a full-fledged writer. What are the stakes of his work today? How can it help us to think and live?